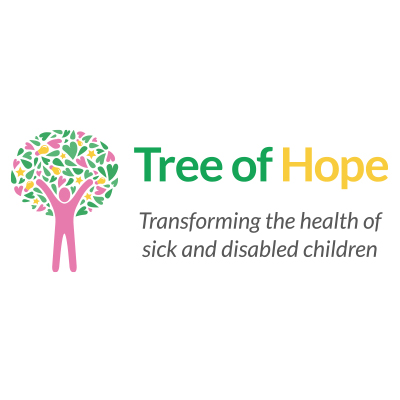 Tree of Hope is the crowdfunding charity that helps children and young people with a disability or illness by supporting their families to raise the money they need to pay for specialist care that is not freely available through the UK healthcare system. Call Georgie in our families team today on 01892 535525 to discuss what we can do to help your child get the support they need. 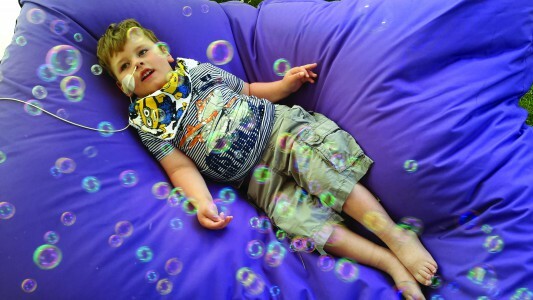 Children with healthcare needs can often benefit from a range of therapies and treatments, not necessarily available via state provision. Tree of Hope supports families to fundraise towards these costs, safe in the knowledge they are working with a registered charity to maximise their fundraising opportunities and get support and help from us every step of the way. Donors will be reassured they are donating to a registered charity and their money will be used for what it was originally donated for, to benefit your child. It is not possible for a charity to be established to support an individual child. However, Tree of Hope is the umbrella charity which has supported thousands of individual children’s campaigns for 25 years. You can donate directly to Tree of Hope to help us continue improving the lives of children in the future. We enable parents to fundraise under the banner of a registered charity, with their very own campaign dedicated to their child. Each donation is subject to a 7.5% contribution which goes towards the core running costs of the charity. We have kept this at its absolute minimum so your child benefits as much as possible from donations and the majority of families find that the addition of Gift Aid covers fees and still adds extra to your campaign. Crowdfunding as an individual will NOT enable you to claim gift aid and cover fees in this way or provide reassurance to donors that their money will be used for the purpose it was originally donated for. Making fundraising tools and advice available to them. As a nationally-known charity, we are able to give greater exposure to campaigns by featuring you on our website and via our social media activity. Find out how Tree of Hope’s years of expertise can support you with your fundraising journey with our latest Parent Pack, available here. Crowdfunding as an individual family for your child will NOT give you any of these benefits. We have created a Parent Pack that will help you understand what Tree of Help can support you with. If you are interested in what Tree of Hope can offer you with your fundraising campaign please fill out the details below to receive our parent pack. Access trust and foundation grants, which you can only do with registered charities like Tree of Hope. How to attract corporate support and match funding donations that can only happen though a charity like Tree of Hope. Not available through crowdfunding. Make the most of your donations – Ensure all eligible donations receive Gift Aid boosting your campaign funds by 25% unlike crowdfunding. Social Media support– Advice and support on using social media to reach a wider audience. Tree of Hope has significant social media presence, spreading virally.